Anybody who knows me knows that I’m a worrier. Did we lock the front door? Is the stove off? Is a tornado coming? I get to my car in the parking lot at school and then walk back to my classroom because I’m not sure that I secured everything. I wake up in the middle of the night worried that the puppy will choke on something in his crate. Sometimes I wake up because the lead story from the eleven o’clock news is still swirling around in my head. Panic disorders which is when feelings of terror strike without warning. Social anxiety causes extreme self-consciousness in public and/or social settings. Generalized anxiety disorder is unprovoked excessive worrying and tension. Even though I’ve gotten to a point where I know that a lot of my fears are unfounded, I often still can’t ignore them. Anxiety is the voice in my head that won’t shut up. Sadly, 2016 is proving to be just as scary as my overactive and agitated imagination. Whenever I pick up the paper or turn on the news, there’s more than enough going on in the world to keep me on edge. I know it’s important to stay on top of current events but, sometimes, I just have to turn off the news. If I didn’t, I’d never leave the house. Current events plus anxiety equals a very high-strung Sheon. What if the driver in the other car doesn’t see me because she’s texting? Is the guy outside the convenience store up to no good? What are they going to do if I hold hands with my wife as we walk down the street? What’s going to happen if my brother gets stopped by the police? Mass shootings in churches, theaters, schools and clubs.Where are we safe? I can work on managing worrying about the door or the stove. Those worries are based on a chemical imbalance. But what happens when the fear is concrete? What happens when the monsters under the bed become real and walk among us on the streets? A part of me just wants to become a hermit. I could stay home and hide from the “what ifs.” It would be better than the racing heart, sweaty palms and clenched jaw that comes with my anxiety. That’s no way to live, though. There’s too much to see, experience and do in the world. So, I can’t hide from life. I must battle forward. All of us who struggle with anxiety and fear must battle forward, but how? First of all, we have to be open and talk to our family and friends. I spent years holding in my irrational fears and they eventually took on a life of their own. By that point, I was too embarrassed to tell my friends about the random panic attacks. I never talked about how certain world events scared me and made it hard for me to participate in life. I lost a lot of time hiding from both the imaginary and real monsters. I’m still missing out on opportunities. Why would I want to go to the movies or the mall if I don’t know if I’m going to be safe? When I don’t talk, I lose the chance to receive support from the people who love me and who can help me not be so fearful. RELATED: Mental Health Awareness: Stomp Out The Stigma. Secondly, we should learn relaxation strategies and then actually use them. I spend a large part of each day feeling physically tense. My body seems to stay in a “fight or flight” stance. When I become mindful of the tension running through my body, I stop and take a deep breath. I try one of the many muscle relaxation strategies that are out there. Also, we should learn to meditate. Set aside the time to sit and tune out the madness in the world and that voice in our head. Picture a hamster on his wheel… that’s the anxious person’s mind. Mediating gives us time to slow down our brain. If you’re at a point where you need more, seek out a professional. A professional can give you strategies to help process what’s happening. If necessary, they can give you medicine. I don’t always like idea that I have to take meds to help me manage but it’s ok. If I have to take a “happy pill” in order to live a worthwhile life, so be it. We can’t deny that the world is a scary place. But for those of us who deal with anxiety, it’s even more so. We have to balance ignoring the monsters that aren’t really there and learning how to cope with the ones that are without letting either of them control us. Managing anxiety is especially difficult in these times and thus all the more necessary. We can all use a little peace these days. 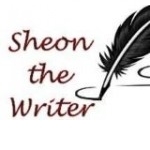 Sheon The Writer is a middle school teacher turned technology specialist, poet and essayist. She has work appearing at Carolina Woman's online publication. She has been a member of several writing groups in North Carolina. Sheon The Writer hopes to publish a collection of poems and essays. All my articles.